In this blog post, I cover Pondok Sebatu Villa, a unique boutique hotel in Ubud, Indonesia, where I had the privilege of staying with my family earlier this year. Located on a ridge, overlooking the verdant valley of Sebatu Village, Pondok Sebatu Villa is a revered retreat for discerning visitors looking to relax and renew in complete tranquility. 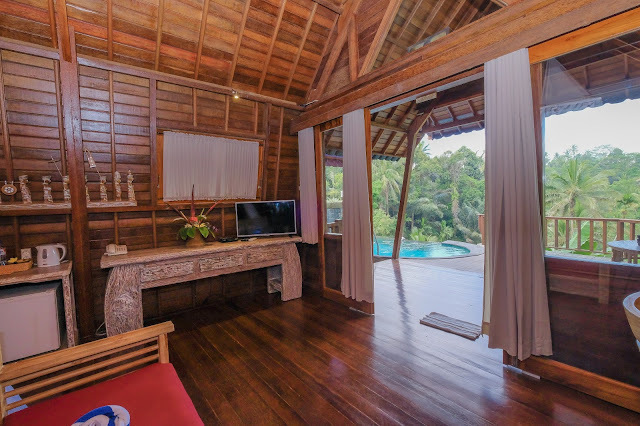 Just 20 minutes away from the thriving culture and arts scene of Ubud, Pondok Sebatu Villa offers six categories of traditional yet intimate recycled wooden villas, each with stunning views of the valley and rice paddy fields. 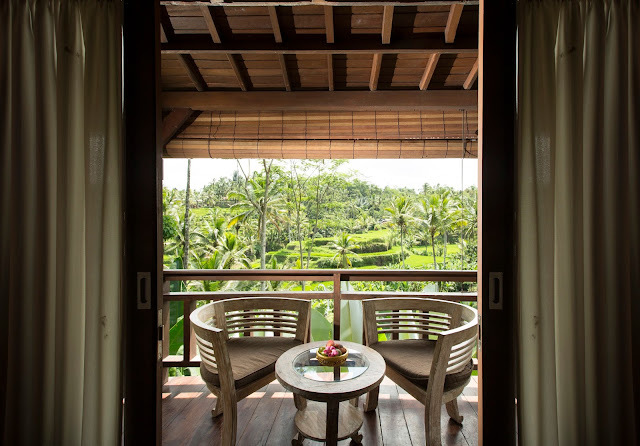 Built in the middle of lush green rice paddy fields - passing through the famous Tegallalang Rice Terrace - Pondok Sebatu Villa offers a vast selection of recycled wooden houses and is hailed as a perfect destination for both honeymooners and vacationers alike. 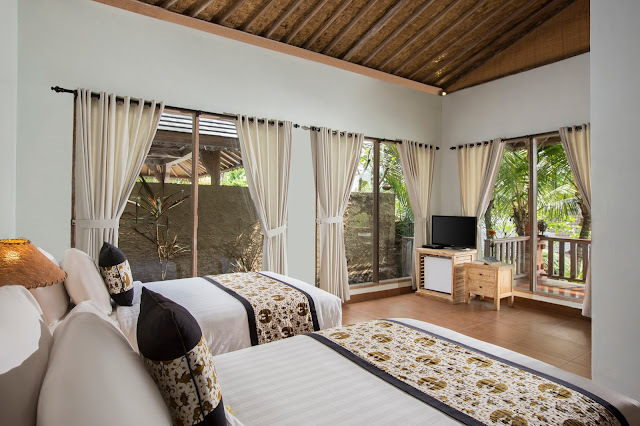 A classic getaway from the hustle and bustle of the city, it is a mere 15-minutes drive from popular tourist attractions such as the Mount Batur (Kintamani volcano), Tampaksiring temple (Pura Tirta Empul), etc. 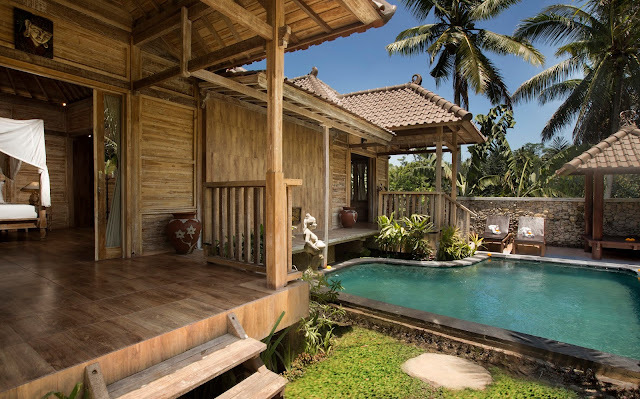 Museums, crafts, dance performances, and shopping at the Pesar Seni (Art Market) are big draws for Pondok Sebatu Villa guests, as are the Puri Saren Agung Palace, the Pura Saraswati (Water Palace), the Ubud Monkey Forest, the Moon of Pejeng, and the Goa Gaja (Elephant Cave) temple. 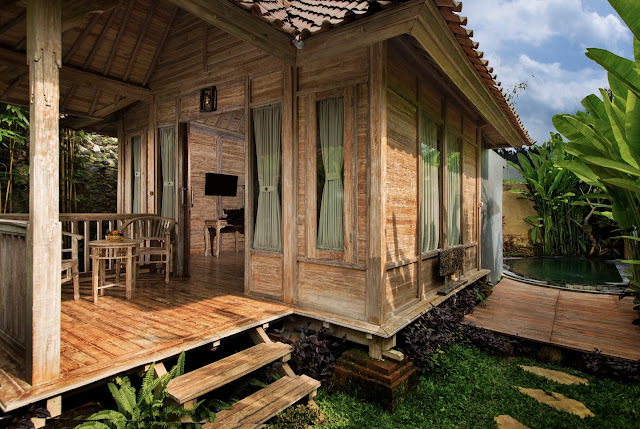 Designed using old timber, the villas resemble Joglo*, a type of traditional vernacular house of the Javanese people (Javanese omah). The villa has an abundant supply of spring water throughout the year, making it one of the most sought after eco-friendly resorts in the area. You can choose from an array of rooms like the 1-Bedroom Pool Villa, 2-Bedroom Pool Villa, and 3-Bedroom Pool Villa - all of them face towards the valley and rice terrace and are equipped with state-of-the-art lodging facilities. The surreal natural beauty and the spectacular view of the surrounding tropical gardens define the Pondok Sebatu Villa and create a mesmerizing indoor-outdoor living experience. 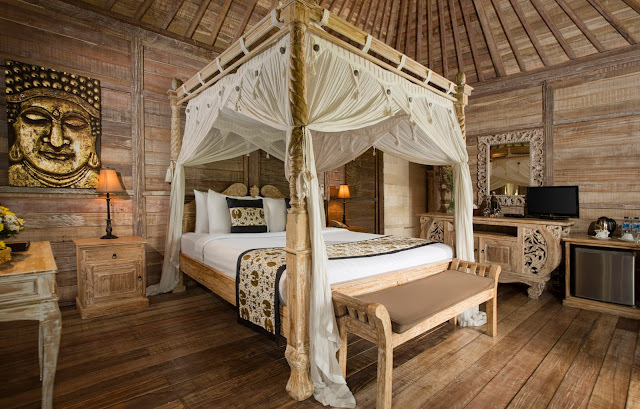 The resort has 13 villas in all, nestled inside the 6 categories of accommodation, each with its own special appeal. 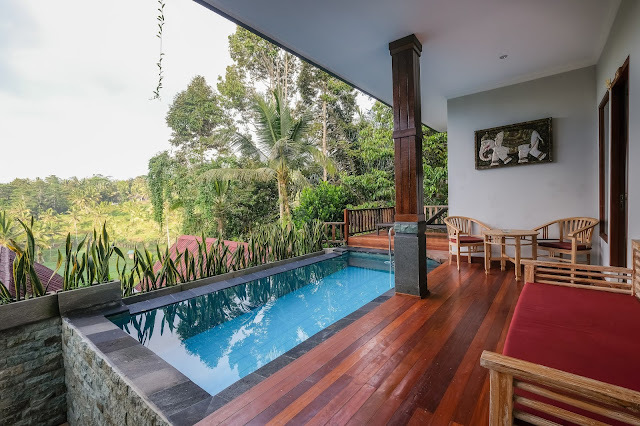 Consist of two adjoining rooms and one recycled old wooden house, kitchenette, and private parking, complete with a private pool overlooking the valley and rice terrace. Consist of two adjoining recycled old wooden houses with private pool overlooking the valley and rice terrace. Consist of two adjoining recycled old wooden house with private pool overlooking the tropical garden. A recycled old wooden house with private pool overlooking the tropical garden. 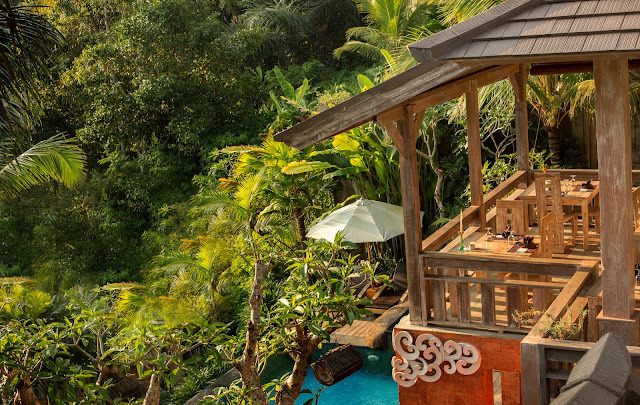 A recycled old wooden house with private pool overlooking the valley and rice terrace. 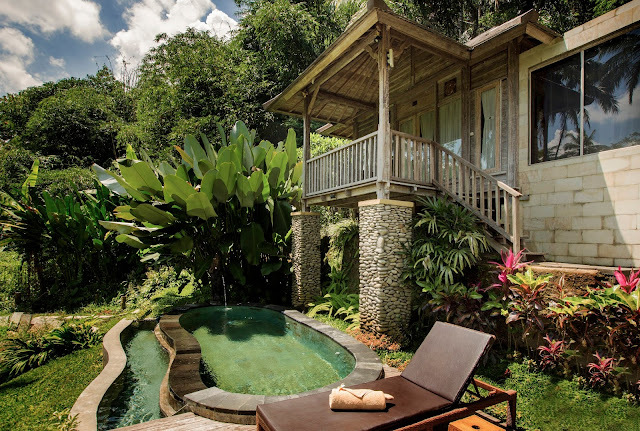 The suite comprises recycled old wooden houses with private pool overlooking the valley and rice terrace. 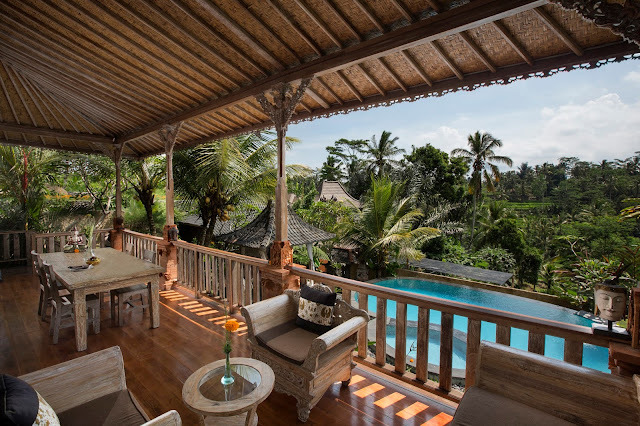 Enjoy a host of fun-filled activities at Pondok Sebatu Villa, lined up for guests so there is never a dull moment. 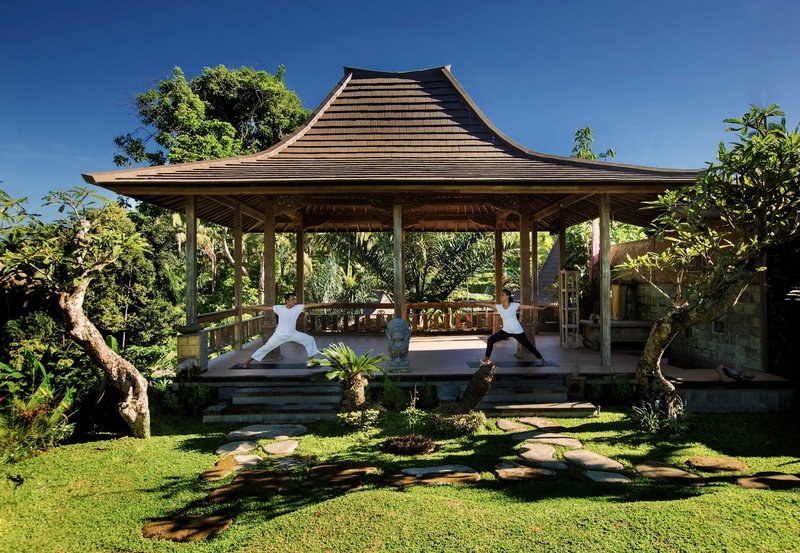 Private yoga classes: A yoga pavilion is located next to the lobby area, which can accommodate up to 15 people at a given time. 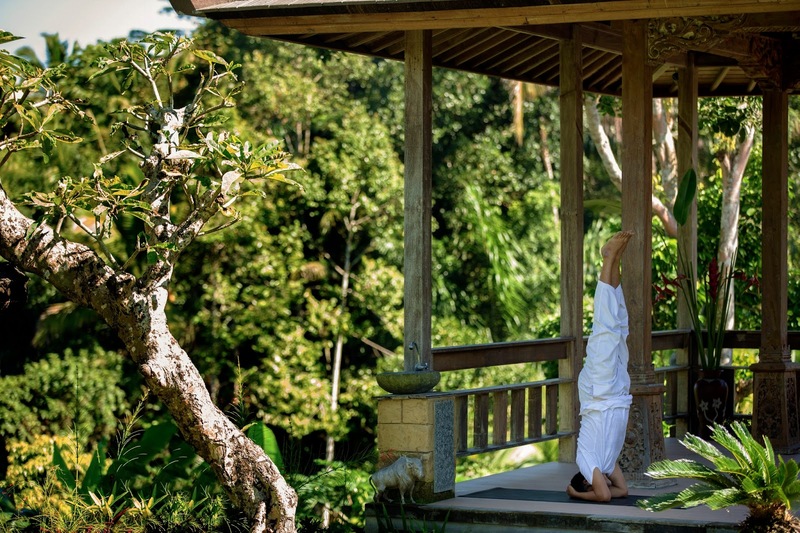 Private yoga classes can also be arranged at your convenience; enjoyed either at the Spa (in a pavilion overlooking the rice paddy or tropical gardens) or in your own villa. 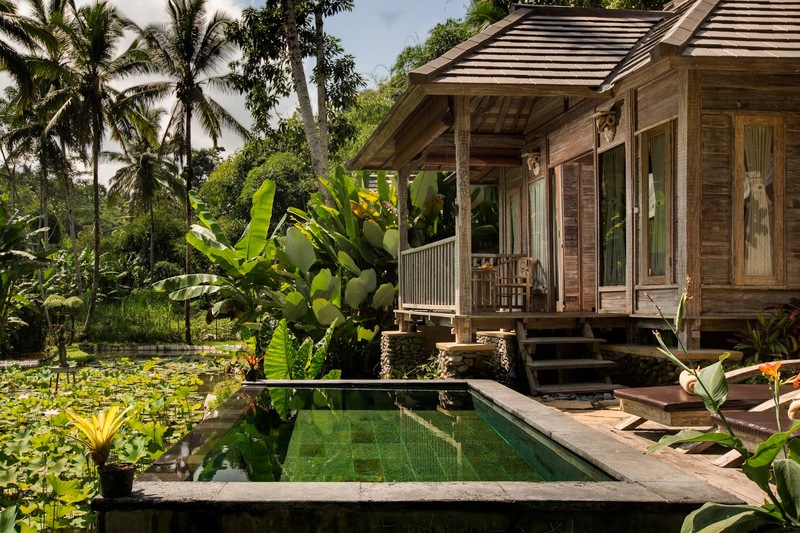 Spa and retreat: The spa and wellness treatments can be availed on the lower ground; two designated rooms are assigned for this. Cooking: Request the guest service manager to arrange for group classes; learn to cook the traditional cuisine of Bali. 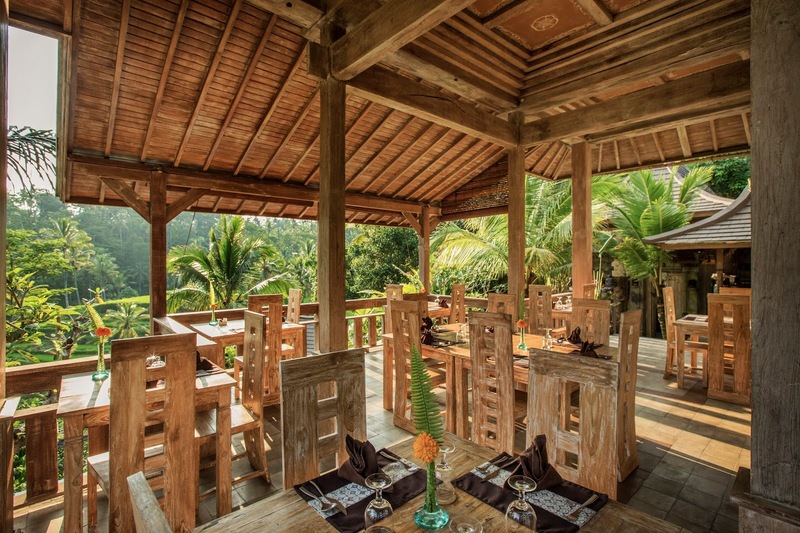 Organic Themed Restaurant: The restaurant is surrounded by lush green tropical gardens and offer both international as well as Indonesian cuisines. 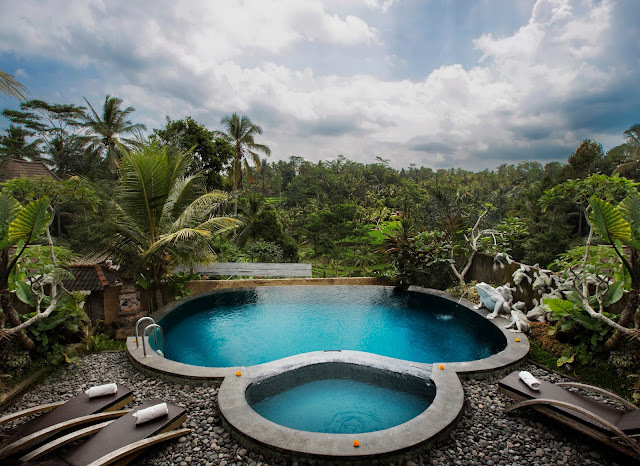 Ubud: The resort provides a free shuttle to nearby tourist attractions in Ubud. 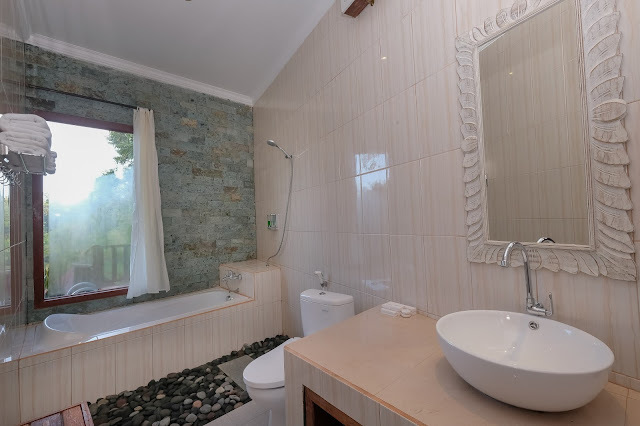 Go for shopping, cultural experiences, and eco-friendly tours, which abound within close proximity of the hotel. 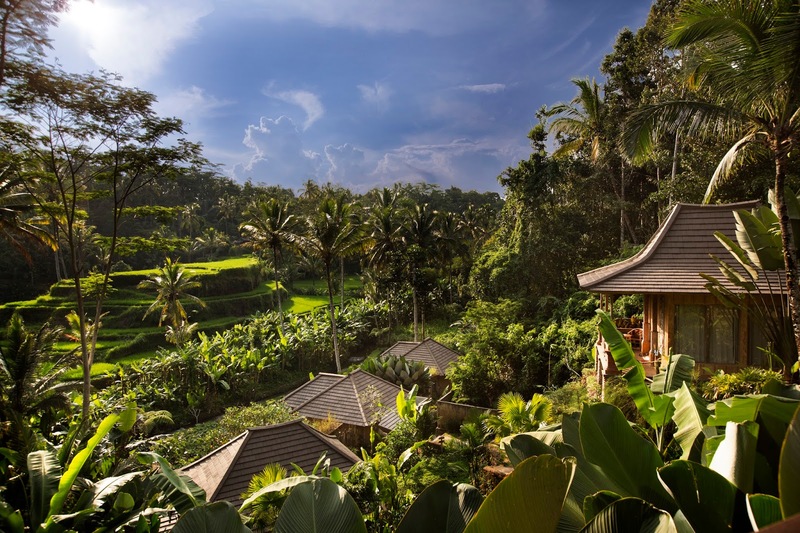 Temple and Paddy Tours: Half-day or full-day tours of temples and tiered rice paddies via hotel limousine can be arranged on request. 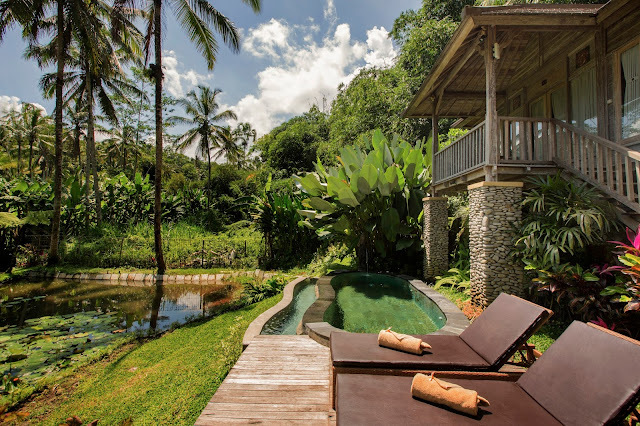 Shopping: Avail the complimentary shuttle into Ubud for one of the best shopping experiences in all of Bali. Splurge on paintings, sculptures, woodcarving art, and handicrafts available in abundance. Bali Adventures: A wide range of adventure activities and tours reflecting the geographic diversity of Bali can be arranged by the guest services manager. 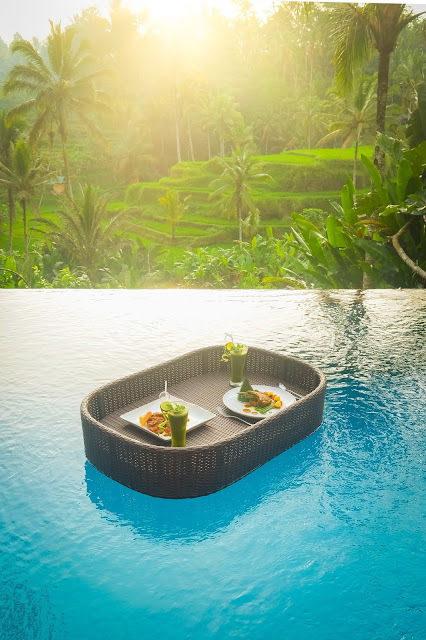 Examples include bicycling through the local villages, trekking through the rice paddies, white water rafting, volcano hikes, elephant ride safari, etc. Activities in surrounding areas include cycling in the countryside, trekking the rice paddy, visiting a white heron rookery or the Bali Bird Park with its 260 species of birds, 2000 tropical plants, and butterflies, trekking the Elephant Safari Park, exploring a traditional coffee plantation, touring the Bali Marine and Safari Park, white water rafting, world-class reef diving, beach horseback riding, Batur Mountain cycling, sunrise hiking at Batur volcano, Harley Davidson touring, and golfing in the mountains. 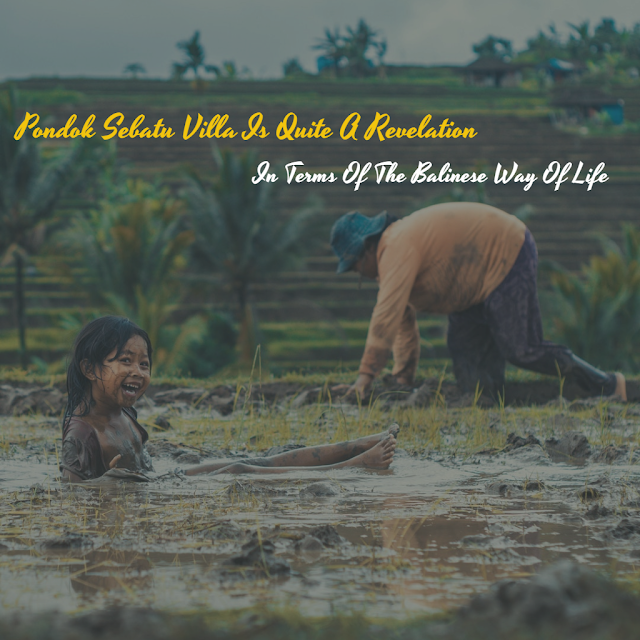 For someone like me, who seeks exclusivity yet exotism, Pondok Sebatu Villa is a match made in heaven. 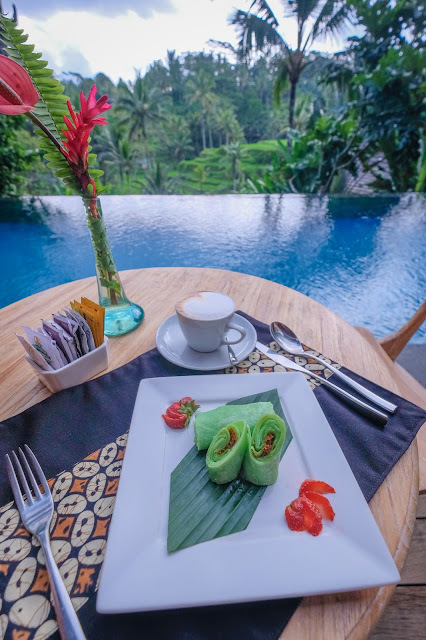 Attentive discreet service, bespoke facilities, organic themed restaurant, spa and retreat, yoga pavilion, private infinity pool, and convenient access to the many wonders of Ubud ... 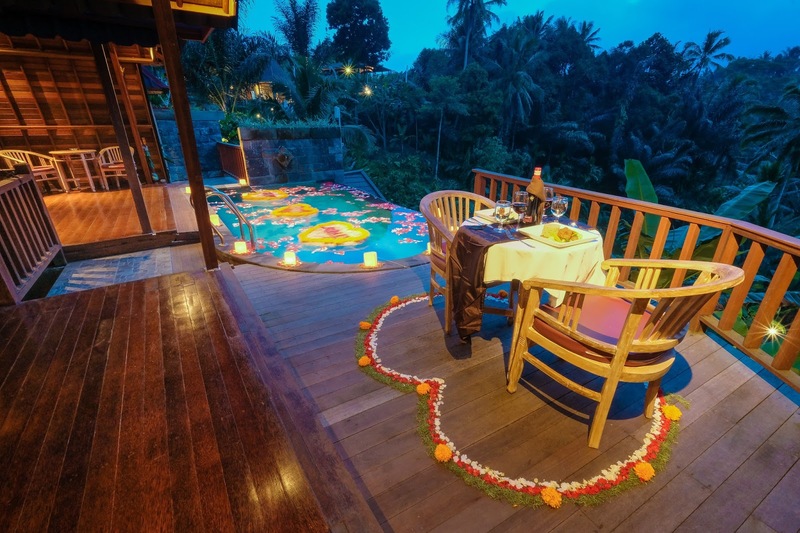 I could go on and on about why you should plan your stay here!